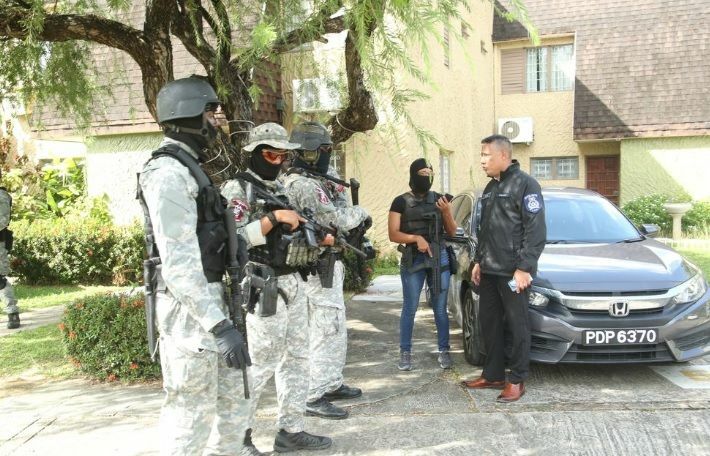 Four of the sus­pects, two women and two men, were ar­rest­ed af­ter the SORT unit stormed Apart­ment 1 at the posh Re­gent Gar­dens com­plex. 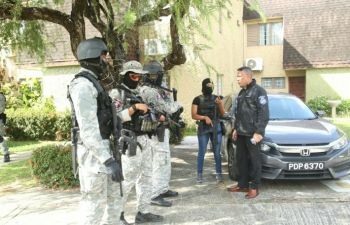 An­oth­er man, who was al­leged­ly try­ing to get away af­ter re­al­is­ing his co­horts had been held, was ar­rest­ed af­ter po­lice in­ter­cept­ed the BMW he was dri­ving. One re­volver was al­so seized dur­ing the op­er­a­tion. In­ves­ti­gat­ing of­fi­cers last night said in­tel­li­gence had re­vealed that there was a Venezue­lan/Mex­i­can drug car­tel link to the seizure. 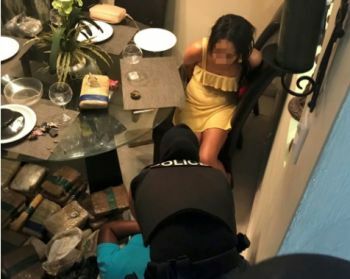 They said lo­cals re­ceived a ship­ment as re­cent­ly as Mon­day night through an il­le­gal port of en­try and were in the process of prepar­ing the drugs for dis­tri­b­u­tion lo­cal­ly. The sus­pects are al­so said to tran­ship­ment to the Unit­ed States as well as lo­cal­ly.